WASHINGTON — As NASA marks the latest milestone in the ongoing testing of the James Webb Space Telescope, agency officials are downplaying any additional delay to the troubled mission caused by the recent government shutdown. 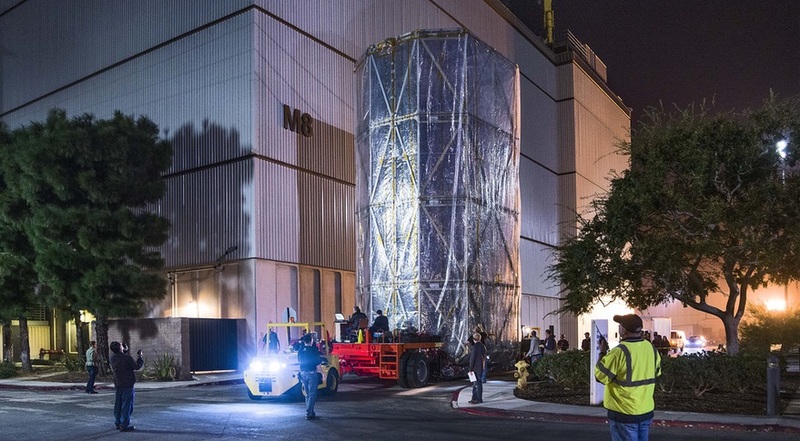 NASA announced Feb. 8 that prime contractor Northrop Grumman recently completed a series of acoustic and vibration tests of the spacecraft element of JWST, which consists of the spacecraft bus and sunshield. Those tests were intended to simulate the environment JWST will experience during its launch on an Ariane 5 rocket. It was during an earlier series of acoustics tests last spring where technicians discovered fasteners in the sunshield coming loose. This prompted several months of work to modify the spacecraft, compounding other delays in the overall program. NASA said there were no problems with the fasteners in these latest tests. Those tests continued during the 35-day partial government shutdown that closed most of NASA in December and January. It wasn’t clear, though, what other effects the shutdown had on the JWST program. A Northrop Grumman spokesperson referred questions on the JWST schedule to NASA. Rob Gutro, a NASA Goddard Space Flight Center spokesperson, said Feb. 4 that it was too soon to know what impact the shutdown had on the overall program. “As we get back to normal procedures, it will take several weeks before we fully understand the impacts of the furlough,” he said. However, Thomas Zurbuchen, NASA associate administrator for science, said in an online town hall meeting Feb. 7 that the agency continued work on “excepted” programs like JWST as much as possible during the shutdown. Work stopped on the program for only four days over the holidays, he said. The agency is still studying overall effects to missions in development, including any changes to existing cost and schedule commitments. That assessment, he said, will be done “in a transparent way, efficiently and equitably.” That would be done for most missions by mid to late February. The five-week shutdown did delay a number of ongoing and planned solicitations for research grants and future missions. Zurbuchen said that the agency’s overarching grant program for science research, Research Opportunities in Earth and Space Science (ROSES), would see its release delayed from February to March. The release of the announcement of opportunity (AO) for the next Discovery-class planetary science mission will also be postponed. NASA extended the comment period on a draft version of the AO to Feb. 11, and a final version is scheduled for release no later than April 1. Proposals will be due to NASA July 1. Those plans, though, could be jeopardized if there is another government shutdown. The continuing resolution (CR) that restored funding to NASA and other agencies expires Feb. 15, and Congress has yet to reach a final agreement on a spending bill for the rest of fiscal year 2019 as they negotiate a border security package. Congressional negotiators said late Feb. 11 that they had reached an “agreement in principle” on a final deal, but it’s not clear if the White House supports it. Zurbuchen and others with NASA’s Science Mission Directorate said they’re making plans in case of another shutdown. That includes disbursing funding to various contracts to keep researchers and other projects funded. “We’re trying to make sure that, to the maximum extent, we can keep things going in the event of another shutdown,” said Craig Tupper, resources management director.